Tired of dystopias? Admire Game of Thrones but don't love how vile the conditions are? Remember when you were younger and enjoyed the clarity of Robin Hood or King Arthur? Real life is not like that, you say. Yes, but real life is already covered by the nightly news, you don't have to also get it in your novel reading. If your reaction to the above is to roll your eyes because you LIKE dystopias and we live in a world without hope, thank you very much, move along, there is nothing to see here. 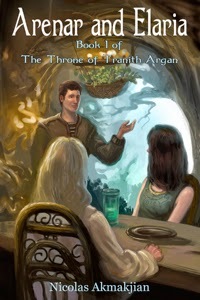 If you want a fantasy tale that leaves you feeling good when you finish, please read my book.